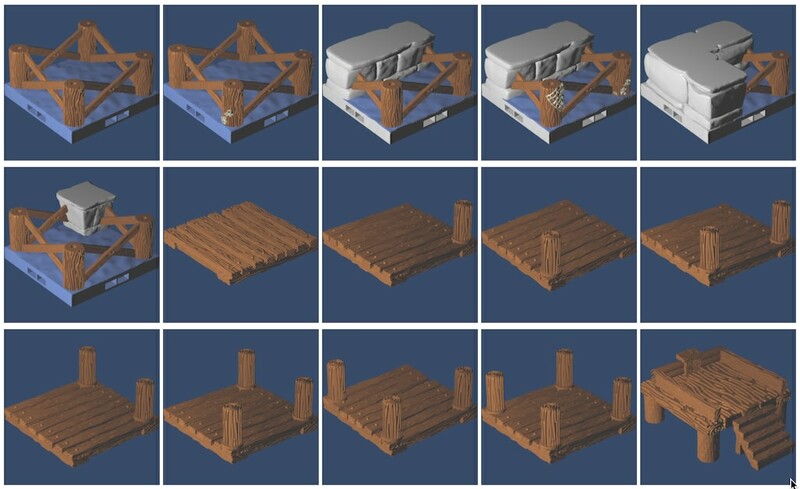 This set of 3d-printable STLs lets you build Dockyard boardwalks and buildings on wooden stilts. It includes bases with stilts in the water, and with a mix of stilts and Dockyard stone walls. It also includes boardwalk surfaces with and without posts to tie ships up to. You can build boardwalks out of these models. Additionally, if you own any of the Fat Dragon Games Village Building sets, you can also place building floors on top of the bases included in this set, to create buildings on stilts. There are also three separate stone support pieces, which you can use to hold up a second level of tiles with the stone side showing underneath. Finally, this set includes a bonus Fishmonger's Stand, where the wares from the incoming ships (be they fish or otherwise) can be sold.